Britney Spears delivered her first television performance of the Femme Fatale era yesterday with a three song, pre-recorded set on Good Morning America. She mimed to the same three songs she sang along to in Las Vegas the day before – Hold It Against Me, Til The World Ends and Big Fat Bass – but the production was much bigger with a light show, added dancers and different costumes. The showcase has been widely criticised by fans and the media, who’ve noted the diva’s lack of energy and inability to perform the choreography. Not quite a repeat of her notorious 2007 VMA performance, but it occasionally veered dangerously close. 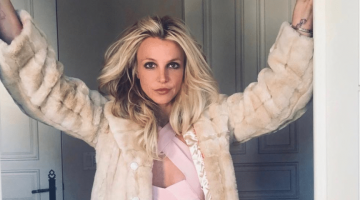 Somewhat ironically, Britney used the performance to promote her North American tour – which kicks off in California on June 17. Check out Brit’s GMA performance below.